መልካም ገና ! Melkam Gena: A Merry Ethiopian Christmas! Posted: January 7, 2014 | Author: Zócalo Poets | Filed under: Amharic, IMAGES | Comments Off on መልካም ገና ! 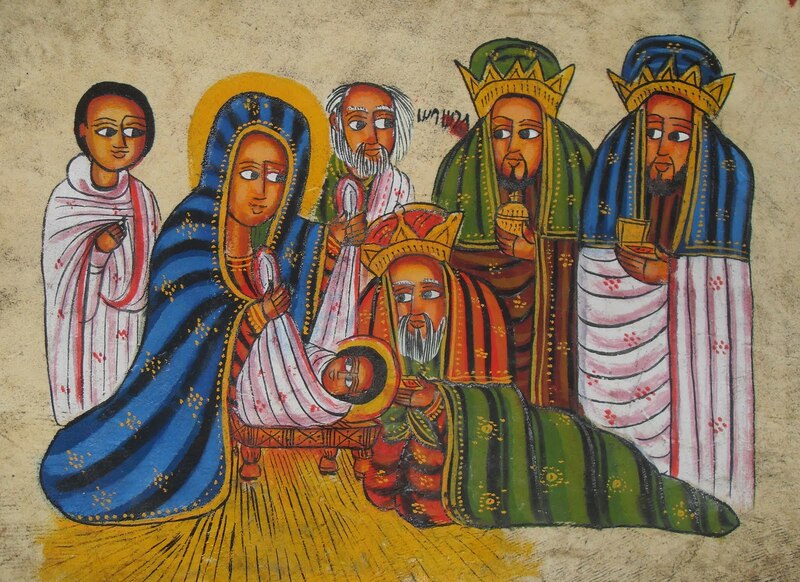 Melkam Gena: A Merry Ethiopian Christmas! 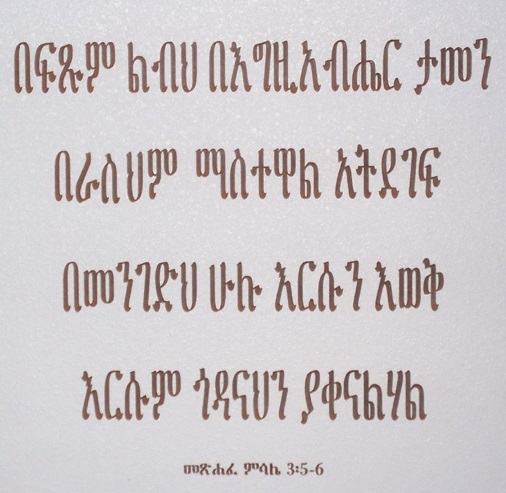 Proverbs, chapter 3, verses 5 and 6, from the Ethiopian Bible written in Amharic: Trust in the Lord with all thine heart; and lean not unto thine own understanding. መልካም ፋሲካ / Melkam Fasika ! Posted: April 15, 2012 | Author: Zócalo Poets | Filed under: Amharic, Elyas Mulu Kiros, English | Comments Off on መልካም ፋሲካ / Melkam Fasika ! 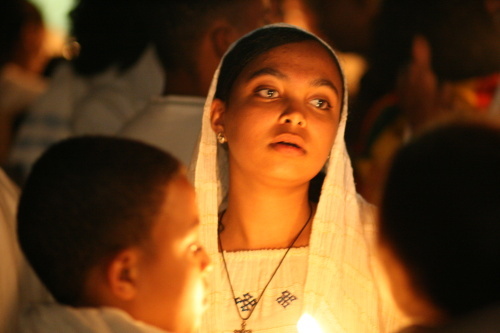 Today, April 15th, is Ethiopian Easter Sunday. 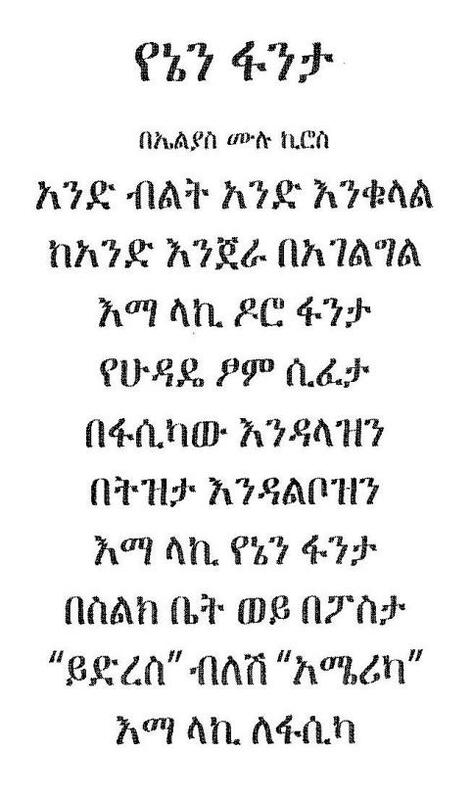 We thank Elyas Mulu Kiros for this special 2012 Fasika poem !